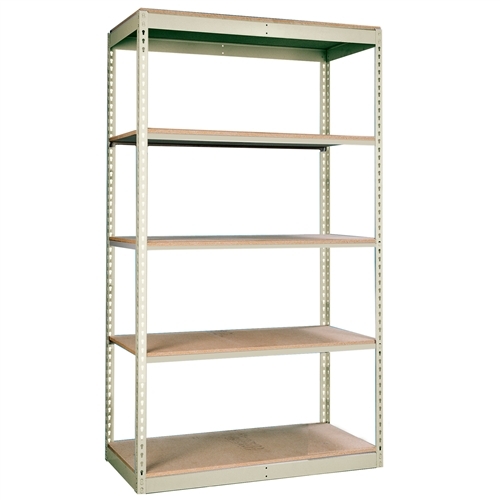 What’s the Difference Between Single and Double Rivet Shelving? The perfect way to store items in your basement, garage or warehouse. Just use single rivet shelving which hold 250 lbs to 350 lbs per shelf. For heavy duty storage, double rivet shelving is the answer. Capable of holding up to 1,500 lbs per shelf. 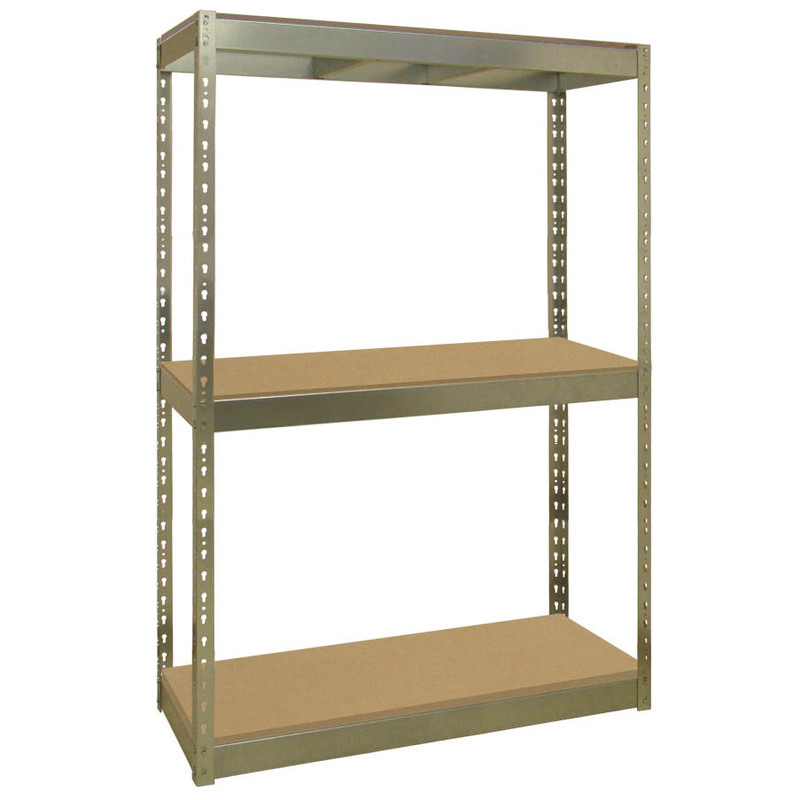 The main difference between single and double rivet shelving is the design. With single rivet shelving, each shelf has only one rivet that fits into a slot on an upright post, but double rivet shelving has two rivets for each post. Since single rivet shelving only has one rivet, the shelves are much thinner than double rivet shelves, 1.65 inches thick versus 2.75 inches. If you need to fit more shelves on a unit or need to use the shelves for high density storage, single rivet shelving might be just what you’re looking for. The downside to single rivet shelving is that it can’t support nearly as much weight as double rivet shelving. The load bearing difference between single and double rivet shelving is not insignificant. But that’s not to say single rivet shelves are flimsy; that’s far from the case. Single rivet shelves can hold between 250 and 350 pounds per shelf, depending on the size of the shelving unit. This makes it ideal to use in places like garages, basements, and for some purposes in offices, warehouses, and storerooms. Double rivet shelving can hold up to 1,500 pounds per shelf, so it can be used in warehouses, storerooms, industrial settings, or anywhere else that very heavy things need to be stored. Regardless of which type of rivet shelving you choose, we thought it would also be helpful to see how to assemble it. Take a look and we hope you find the perfect use for your rivet shelving, send up a “shelfie” and we’ll send you a coupon!